Serie A roundup: Juventus & Napoli dominant, Milan rusty while Roma & Inter bite the dust! 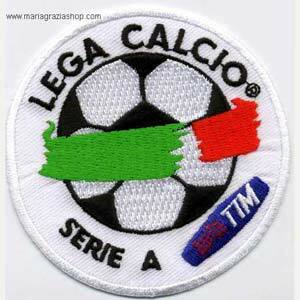 The much awaited Serie A season finally began at the weekend, couple of weeks later than originally scheduled due to a player’s strike and the subsequent international break. It was the champions AC Milan who kicked off the new campaign but had to settle for a 2-2 draw with Rome based Lazio. Elsewhere, there was enthusiasm and a massive sense of joy in Turin as Juventus welcomed Parma to their newly inaugurated stadium for the first game of the season. The champions from last season AC Milan kicked off their new campaign against Lazio who had pushed for Champions League places last term. And the fervor surrounding Milan was soon lost as Lazio raced to a 2-0 lead inside the first half hour thanks to goals from debutants Miroslav Klose and Djibril Cisse, and looked set to earn their first victory at the San Siro in 22 years after 13 defeats and 8 draws during this period. Klose opened the scoring with a low finish past Abbiati on 12 minutes which was followed a powerful header by Frenchman Cisse on 22minutes. However, Milan’s response was immediate as Ibrahimovic slotted him off a Cassano assist just before the half hour mark and Cassano then went on to score the second for Milan barely four minutes later. In the second half, Milan were much more dominant with Cassano is prime form. His shot edged just wide after the restart before Boateng missed a diving header to level the match. And despite the chances for both sides in the second half, the match ended in a draw. The match was the first one being played at the newly laid artificical pitch at Cesena’s Stadio Dino Manuzzi. With one eye on the crucial Champions League tie against Man City, Napoli coach Walter Mazzarri rested talisman Marek Hamsik and fellow midfielder Marco Donadel for the clash while star man Adrian Mutu made his debut for Cesena. While Cesena started brightly, it was Napoli who opened the scoring Ezequiel Lavezzi barely 3 minutes into the game after uncertain defending by Cesena off a throw in. Right back Christian Maggio had a bright chance to make it 2-0 for Napoli but missed and Napoli looked set to pay for the miss as Roberto Guana levelled it up Cesena inside the first hour. Cesena for all their heroic defending, later had defender Yohan Benalouane sent off in the second half and Cesena’s resistance was broken on 66 minutes after Hugo Campanagro prodded home from close range. Marek Hamsik later made it 3-1 for Napoli with a couple of minutes remaining on the clock. The match the beginning of a new era in Turin with Juventus playing their first official match at their newly inaugurated stadium in front of passionate Bianconeri fans. And the fans were treated to a dominat display as Juventus routed Parma 4-1 after suffering three consecutive defeats at the hands of Parma previously. Juventus broke the deadlock with the first real opportunity of the match as Pirlo chipped a ball over the Parma defence and fellow new recruit Stephan Lichtsteiner slotted it home. A Matri header too was ruled out for offside in the first half. In the second half, Juventus stepped up the gears, Matri failed to score into an open goal on 55 minutes but the lead was finally increased with a goal from Pepe two minutes later. Chilean Arturo Vidal came off the bench and was quick to make a mark, scoring on debut with a fierce volley into the top corner. Juventus further increased the lead when another one trademark Pirlo passes released Marchisio who chipped past Parma goalkeeper Antonio Mirante to make it 4-0 with seven minutes to go. The stupendous performance bore a slight blemish though as left back Paolo de Ceglie was rather harshly sent off for a trip on former Juventino Sebastian Giovinco. Giovinco scored the penalty that ensued to make it 4-1, but in the larger picture it was an incredibly satisfying performance by the Bianconeri under new coach Antonio Conte. This was unarguably the most exciting match of the weekend that saw Palermo come back from behind twice to eventually win the game and Inter coach Gian Gasperini went ahead with his favoured 3-4-3 formation and benched Sneijder. Argentine Diego Milito opened the scoring for Inter finding himself at the right place to finish Stankovic’s wayward shot. However, an unsettled Inter were caught out barely three minutes into the 2nd half with Fabrizio Miccoli beating the offside trap before cooly finishing past Julio Cesar. Inter, though responded immediately and their lead was restored via a Milito penalty. Palermo were not done yet and they kept the pressure on and it paid as Abel Hernandez scored to make it 2-2 following Josip Illicic’s defence splitting pass. With the game set to dend as a draw, Palermo handed a double blow by scoring twice in the final five minutes through first Miccoli on 86 minutes and then Pinilla two minutes later. Diegor Forlan got a consolation goal for Inter in stoppage time with a neat finish to make it 4-3 but Palermo held on to record a famous victory. Much had been expected of a new look Roma side this season but the internal differences within the playing and coaching staff seem to have upset them as Roma crashed to an opening day defeat at home. Bojan had a disastrous start to his Roma career as he cut a sorry figure throughout. Despite dominating the midfield, the first half failed to record any goals and in the second period it was Cagliari who broke the deadlock after a howler from Roma defender Jose Angel who nodded in straight at Daniele Conti who took advantage and made it 1-0 for the Sardinians. Jose Angel made it even worse for Roma as he got himself sent off a couple of minutes later. It got worse for Roma in stoppage time as El Kabir made it 2-0 for Cagliari and Danielle de Rossi’s goal 7 minutes into stoppage time only served as a consolation for the Romans who got a stark reality check on the very first day of the league. The geographically close rivals opened their campaign at Stadio Artemio Franchi. Steven Jovetic was back for Fiorentina after a horrific injury kept him out for large part of last season. In the game itself, it was Fiorentina who drew first blood through Alberto Gilardino who struck with 20minutes on the clock with a header off Manuel Pasqual’s cross. Bologna then came close as Rene Krhin struck the upright at the half hour mark. Later in the second half, Manchester City target Alessio Cerci shot home from close range immediately after the restart making it 2-0 and ensuring a winning start for Viola. Elsewhere, Chievo could only draw 2-2 at home with league new boys Novara, Catania were held to a goalless draw at home by Siena while Udinese continued their good run from last season with a 2-0 win away at Lecce with a good performance from newboy Gabriel Torje. Genoa were also held to a 2-2 draw at the Marassi by the recently promoted Atalanta. The undoubted star of the Azzurri lit up the newly inaugurated Juventus stadium and was the protagonist in Juventus’ delightful showing at home. He might be 32 but he still has it in him. Alongside Marchisio, he controlled the game much to the delight of Juve fans and ended the game with two assists- one for Lichtsteiner and the other for Marchisio’s wonder goal. The former Barcelona man Bojan Krkic arrived in the Italian capital amidst much fanfare and hype, and had a point to prove with Roma. But his first performance for Roma did anything but that, he cut a sorry figure throughout the game, almost lost and did nothing to prove his doubters wrong.